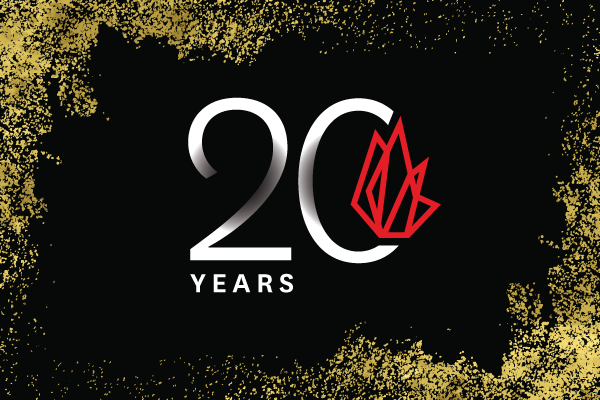 Join us in New York City on Thursday, October 24, 2019 to celebrate 20 years of FIRE. Folks, the time has come to come together in New York City to celebrate a big milestone: FIRE’s 20th birthday. Twenty years ago, Harvey Silverglate and Alan Charles Kors opened up the doors to a small nonprofit in Philadelphia to answer calls for help from students and professors facing violations of their individual rights. Now, 20 years later, FIRE is the leading authority on campus civil liberties, having helped millions of students defend and enjoy their rights. With each day, FIRE’s voice grows and its reputation becomes stronger. This is a testament to all the people who have supported our work throughout the years. And it is those people who we want to celebrate with us in October. Please join us on October 24, 2019 for a fun, thought-provoking, and celebratory evening with your favorite free speech friends. Don’t forget, this is not an annual event, so don’t miss out! Formal invitations and registration to come soon. Sir Salman Rushdie—of any time. A brilliant provocateur, he’s penned a handful of classic novels, influenced a generation of writers, and received a Queen’s Knighthood for his “services to literature.” He stands as both a pop culture icon and one of the most thought-provoking proponents for free speech today. 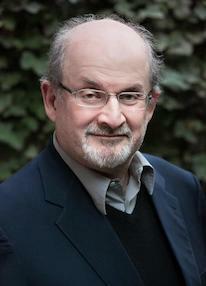 Sir Salman Rushdie’s novels, greeted always with anticipation and acclaim, include The Satanic Verses, The Moor’s Last Sigh, The Ground Beneath Her Feet and 2008’s The Enchantress of Florence. For his masterwork of magic realism, Midnight’s Children, he won the prestigious Booker Prize, and later, the Best of the Booker. The novel has since been adapted to film by the Academy Award-nominated director, Deepa Mehta, and premiered at the Toronto International Film Festival. He is also the author of bestselling memoir Joseph Anton. Sir Salman Rushdie’s Luka and the Fire of Life is a children’s novel and a companion to Haroun and the Sea of Stories. His latest novels are Two Years Eight Months and Twenty-Eight Nights, which was a New York Times besteller, and most recently The Golden House, a novel that “depicts Obama and Trump’s US” (The Guardian). Tickets will soon be available for purchase. If you would like to sponsor the event, please contact events@thefire.org for information.